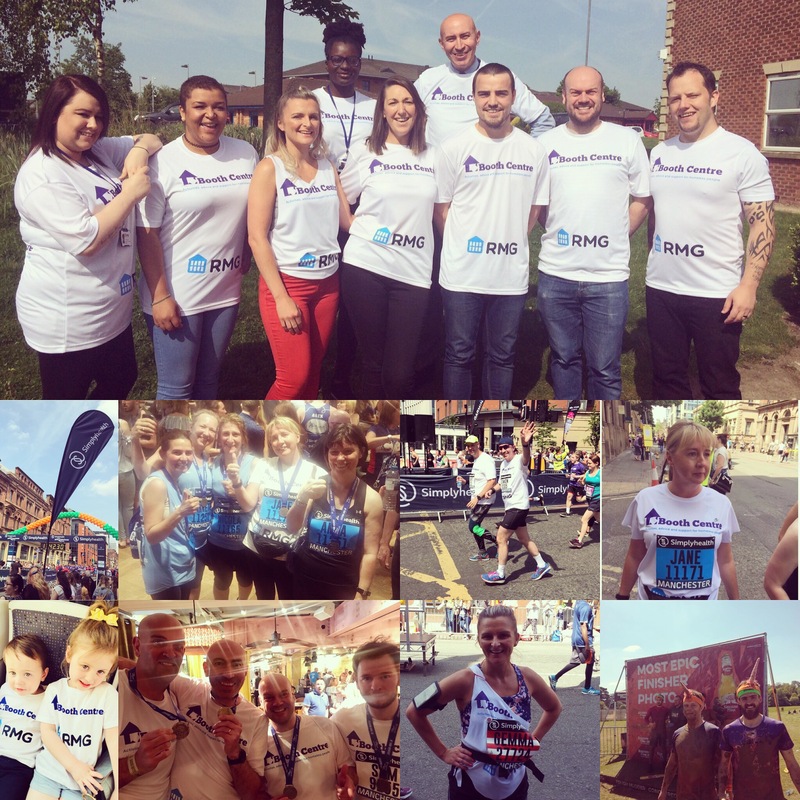 Last weekend, RMG colleagues dusted off their running gear an took on the Midlands Tough Mudder, Manchester Half Marathon and 10k challenges in aid of homelessness charity, the Booth Centre. Conditions were perfect for spectating as thousands flocked to cheer the participants on at each event, however, the glorious sunshine made things that much harder for our runners who had to push themselves even harder to complete their events. The weekend started with the Midlands Tough Mudder where our very own Dave dominated the challenging obstacles while channelling his inner unicorn (we’re not kidding, there are pictures). After battling ice baths and mud slides among others, Dave emerged victorious. Unfazed, he returned the next day to volunteer his time on the course for the next race – well done Dave! Sunday was the day of the Manchester half marathon and 10k races. The morning began with Simon, Stuart and Gemma pounding the pavement in the unusually warm weather conditions. Gemma powered through her heat with an impressive time of 1h 57minutes. Stuart was next to cross the line with a time of 2h 12 minutes followed not long after by Simon who clocked in at 2h 20minutes. The team were elated with their times and those who came out to support were very impressed with their efforts. The afternoon saw Pete, Sam and Jane take on the 10K race at which point the sun had reached new heights, making a tough race even tougher. One by one they dominated the course, crossing the finish line to thunderous cheers and a very welcome cold bevvy. Undaunted by the morning’s half marathon, Simon and Stuart joined their team mates for the 10K, also finishing with impressive times. At the end of the weekend the team had raised an astounding £21075 for the Booth Centre which beat the target of £20000! The centre were very grateful for the donation as it allows them to continue to provide hot meals, hot showers, employment sessions, expert housing advice and a wide range of activities including drama, art, opera, yoga, swimming, sewing and so much more for the visitors. In the last twelve months, the centre has helped 120 people into work, helped 390 people find accommodation and prevented 441 people from becoming homeless proving how impactful each donation is.